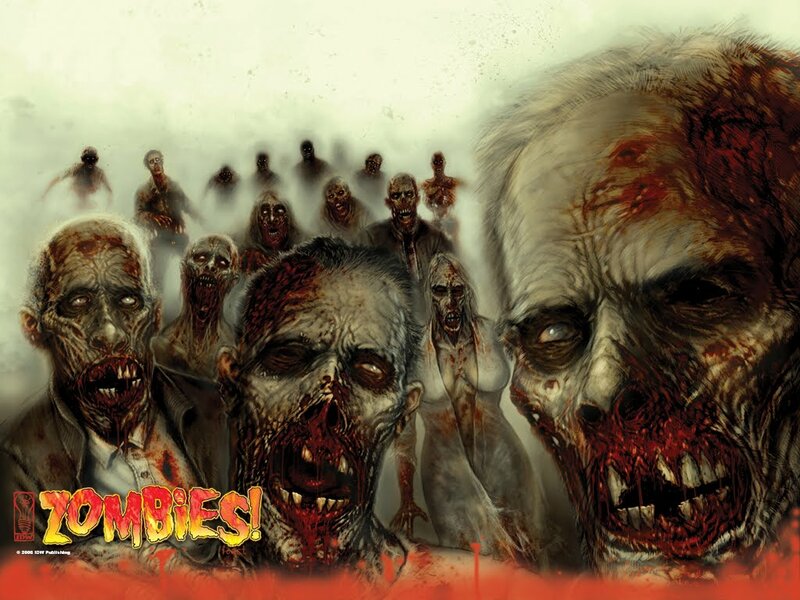 Living Zombies or Dead Zombies: What do you prefer? The most common debate about zombies these days is the “fast zombie vs. slow zombie” debate. I’ve seen this debate last for days in various online forums and groups. People will debate this topic endlessly, but a zombie-related topic I rarely see discussed is whether or not zombies are scarier as supernatural “living dead” creatures or as regular people gone insane. The Romero-style zombies are obviously the best example of the supernatural undead. In all of his “Living Dead” movies, the zombies are literally the walking dead. They are recently deceased people who have risen from the grave to feast on the flesh of the living. There’s definitely a creepy element to these things. Seeing a person with rotting flesh stammer (or run) toward you would without a doubt be a terrifying experience. It would also be an extremely emotional experience if that zombie is someone you knew and loved in life. A recent trend, however, has been to do the zombie movie with “living zombies.” 28 Days Later really brought this version to the mainstream audience. These zombies aren’t the walking dead. They are simply people who have been infected with some sort of virus that makes them act like zombies. Some other movies that use this are The Crazies and 28 Weeks Later. Zombieland is a little vague on this issue. In Zombieland, it’s never quite clear whether these are people driven insane by a virus or literally people who have risen from the dead. I personally lean toward the “they’re alive” angle for this movie. The scariest thing about the “living zombie” is that it feels far more realistic. There are no supernatural elements that you can shrug off as magic. These are just people who have been infected with a virus and are now trying to kill you. That can be damn scary. And when you factor in family and friends, it takes it to another level altogether. Your spouse is infected. Should you kill her? What if there’s a cure tomorrow? Without the supernatural element, putting a bullet in your best friend’s head would be far more difficult. For me, I’m undecided. I don’t know which is scarier. If it were to happen in the real world, I think the risen dead would be far more frightening, just because it would change everything about the way we see the universe. But as a movie, I the “living zombie” might be a little scarier, because it takes place in the real world. It is something that could happen. So what about you? When you go watch a zombie movie, are you freaked out more by a living person with a “zombie virus” or by the actual walking dead?